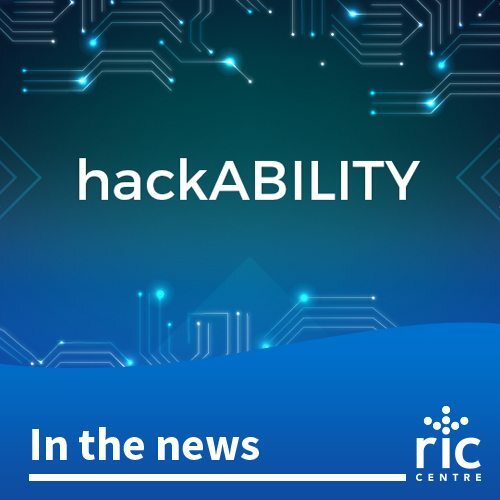 hackABILITY will raise awareness about emerging technology opportunities in the area of assistive technology, as well as support collaboration between educational institutions and established businesses. hackABILITY is facilitating the rapid prototyping of devices that may be considered for further development and commercialization. Get a sneak peek at the teams competing! Integration of off-the-shelf AI voice recognition technology to provide hands free controls for the tetraplegia community who have limited or no movement of 4 limbs — that is approximately 140,000 people in North America with 17,000 new cases each year. The current system supplied by the government cost over $10,000 with multi-month wait times. With this solution, AIDex hopes to reduce time to activate controls, minimize effort, physical fatigue on the user and be a personal aide to dexterity at an affordable cost. The mission of the BlueScout portal is to make the world an easier and more equitable place to live for those with limitations to their physical or sensory abilities. People who use mobility devices such as wheelchairs or walkers, or otherwise have limited mobility, people who have partial or no ability to see or hear, all face the same problem: they are faced with a world where information is spread across many sites, is often difficult to find, and is rarely sufficient for making informed choices about what is accessible, suitable, and safe. BlueScout’s objective is to provide a tool (accessible from computers and mobile devices), which will configure based on the profile and interests of each individual, thereby providing them a view on the world based on them. CoolCats are looking to modernize the current hearing aid industry. Several complaints commonly listed with hearing aids include durability, cost (approximately $2,000 per pair), discomfort, non-discrete design and the regular maintenance. The team will be creating a less conspicuous hearing aid in the form of everyday glasses. The product will use low cost bone conduction technology to transmit sound through the bone to the cochlea. Similar to regular glasses, they will be durable and more comfortable to wear. The glasses are looking to improve on existing technology by adding a microphone that can pick up the sounds from the user’s surroundings and convert those to vibration, which can be transmitted to the user. product will be marketable to individuals of all ages with conductive or mixed hearing loss as well as non-hearing impaired individuals who wish to use them for media purposes as non-intrusive audio players. Colorblindness is a common optical disability that affects millions of people across Canada, yet very rarely do you find products to help the colorblind. Red-green colorblindness alone affects 8% of all males and less than 1% of all females across America. In Canada, approximately 1 in 10 males have color deficiency. iC Color is creating a program that acts as a screen filter and modifies colours on a screen to allow those with colorblindness to differentiate between hues that trouble them. This simple solution could be an affordable way for those affected with colorblindness to use their screens without having to spend hundreds of dollars on corrective glasses. There are millions worldwide who cannot use cellular devices properly because of their disability, such as those with Parkinson’s, autism, schizophrenia, or others. Some are limited physically (ex. a tremor), while others are hindered by the complex navigational aspect of each platform’s interface, especially because every platform is different. Because of this, they are cut off from the digital world where the people they care about share updates on an hourly basis. Enter Simplif.ai, a chatbot that acts as a bridge between those with disabilities and the rest of the online world. It allows those with disabilities to interact with social media platforms via a simple conversation and eliminating any need for complex UI navigation. In Canada alone, there are 458K people who suffer from visual impairments. Currently, visually impaired individuals rely on the original white canes that were never updated to take advantage of new technologies. The SmartCane is a modern device for orientation and mobility for the visually impaired, blind and deafblind. The objective of our new cane is to detect obstacles and to provide directions when travelling on unfamiliar routes with additional value added features such as integrated GPS navigation and vibration feedback. Join the teams at University of Toronto on December 7th, 2017 and watch them compete for free!